Go to the » Shop and purchase the expert support upgrade. One hour of expert support costs €70 / $106 and buys you 4 question "tickets" (new users get a free ticket). Choose the expert or the area of expertise you want to address and write your question. Please note that every answer is charged one ticket. Each question should be limited to one topic. If the expert has to answer to several topics or if the answer needs a disproportionate amount of time, the expert can charge several tickets. 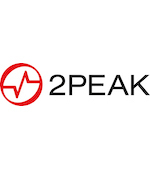 Questions about the functionality of 2PEAK and using the system: Our aim is to make 2PEAK so user friendly, that questions about the system shouldn't arise. We have also put detailed instructions in the footer under » Support. Please go there first to get acquainted with the 2PEAK system. If you prefer a personal answer, but also if you wnat to know why it is that your intervals are not reported in the interval scan (workout analysis), how trainingszones are defined, determined or used, or how you ideally set up your training schedule, we offer the choice to ask a system expert an online question. Should any of these questions turn out to in fact be a system bug, we will of course credit you in case you had paid for. Gabrielle has a diploma as dietician SHS and is an endurance athlete. Correct diet improves performance in training and competition and encourages recovery. Specific competition feeding. Optimum diet in training and recovery. Weight reduction. Answers on foodstuff intolerance (coeliac disease, lactose etc. )Brain food – fitness in your head. 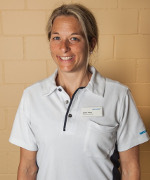 Trained as Biologist and Chemical Engineer, certified as a level 2 Triathlon Coach by USA Triathlon and level 3 Swim Coach by the American Swim Coaches Association. 9 years experience coaching adult swimmers in a group setting and 8 years experience as a triathlon coach give him a wide variety of experiences in helping people prepare and be their best. 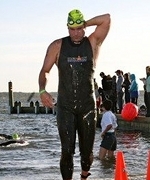 Kevin offers expertise in the following areas: Questions on swim technique, race day execution in terms of pacing, nutrition and hydration are particular strengths. As part of establishing a good race day execution strategy, analysis of hr, power and speed data is an important addition and an issue Kevin has much experience with. As a practicing systems engineer Kevin has a strong background in balancing requirements for athletes. Issues such as how to manage family and work commitments versus the training needs of the athlete. 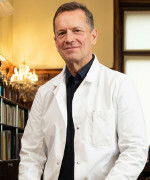 Dr. Bernhard Rinderknecht is physician, owner of a cell-biology lab, associate professor for nutrition at the Institute for Sport at the University of Basel and Ironman (Zürich 2003 at 85Kg/188 lb), this last accomplishment has several dimensions. Bernhard weighed still more then 330 lbs (150Kg) in 2003. So when Bernhard answers you weight management related questions, including the psychological side, he truly knows what he is talking about. 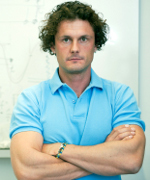 Dr. Piero Fontana, PhD: In his dissertation at the Swiss Federal Institute of Technology he discusses the adaptation of the heart's pumping volume to different new training stimuli. Today he is a scientist at EMPA St.Gallen (ETH-divison) in the field of Health and Performance. Piero is an expert in the following fields: sport physiology (performance testing, energy supply systems, physiological systems and relationships), training planning (endurance, strength, stability and flexibility) and nutrition (basic nutrition, race preparation, race nutrition, supplements).